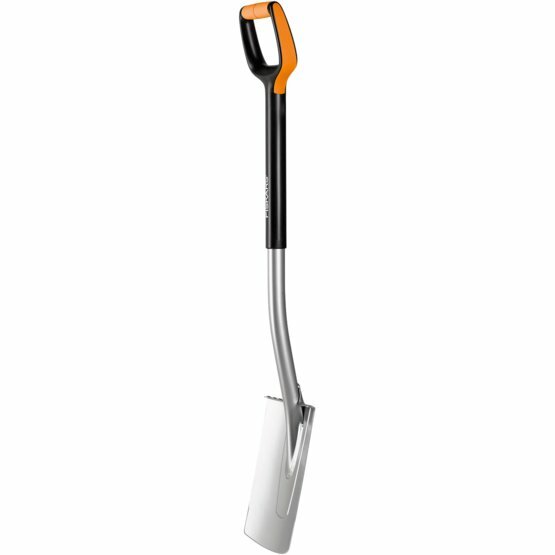 Fiskars Xact Edging and Planting Spade is a medium sized version of this eminent tool to ergonomically fit smaller users. This tool with its extra strong sharp blade is the perfect fit for both digging, edging and planting with great control thanks to its large D-shaped Push-Pull handl. Fiskars Xact Edging and Planting Spade M is the right fit for slightly shorter users and is perfect for digging, edging and planting tasks in the garden. Its sharp blade of durable boron steel and neatly designed composite and steel shaft combined with a broad Push-Pull handle makes this spade a joy to work with in terms of comfort and control. Sharpened blade with step board is perfect fo digging planting holes, edging beds and removing small amounts of soil.